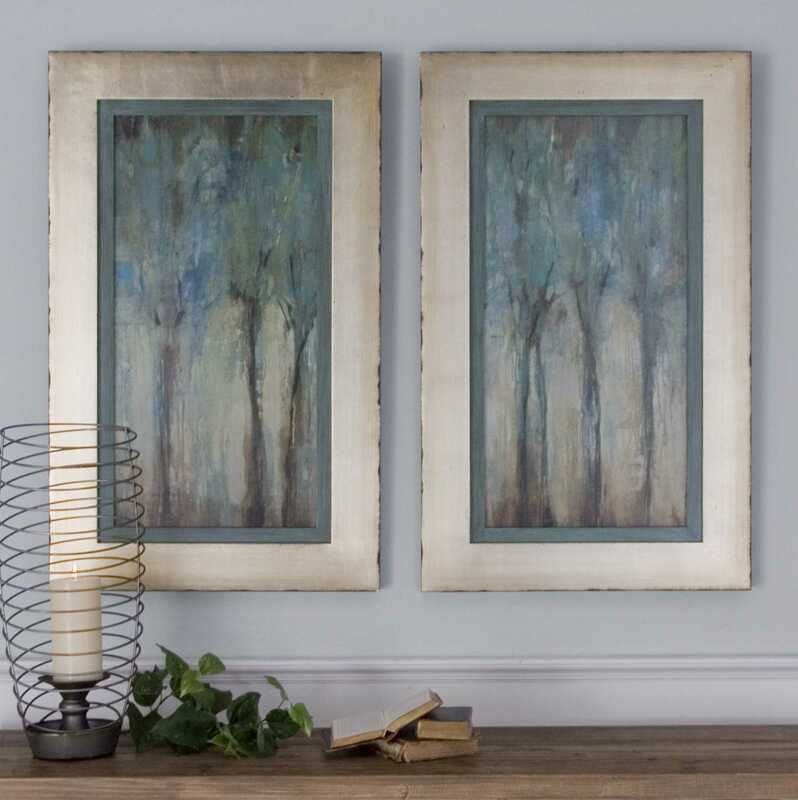 These modern, oil reproduction landscapes feature a hand applied, dabbed finish. Muted shades of blue, green, and beige create abstract detailing. 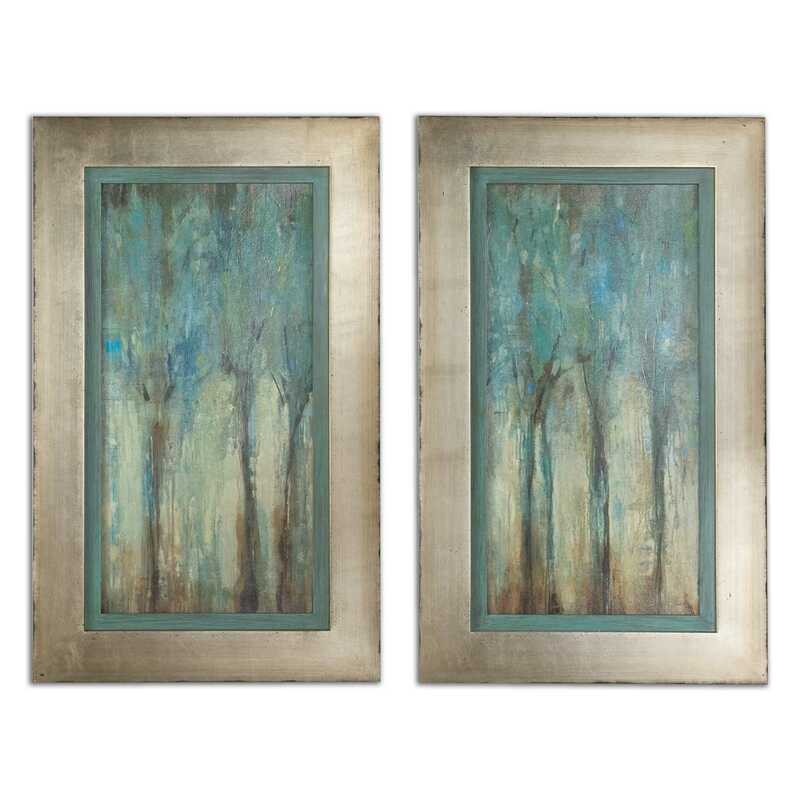 Large, silver leaf frames with a heavy champagne wash have slightly distressed edges that are accented in a warm sepia tone. A muted, aqua inner lip with a heavy charcoal glaze completes this set of artwork.